Healthy eating habits can be developed with time and with the right tools. This lifestyle change requires a specific mindset as well as determination and planning. We have put together proven ideas that will get you to eat healthier and potentially lose weight along the way. To get you started on the right track, here are a few ideas that can help you develop healthy eating habits. Regardless of what your work schedule looks like, it is important to stop eating about 3 hours before going to bed. This not only helps the body digest some of the food before going to sleep, but it also helps the body’s growth hormones (GH) kick into gear. These growth hormones are made of protein and they are directly involved in cell functions. Without the proper growth hormones, cells will not be able to regenerate and reproduce and growth will be stunted. They say “out of sight, out of mind,” right? This notion applies to fruits and vegetables as well, especially when they are tucked away and out of sight. You may not consider eating fruits and vegetables when they are hidden away in a drawer, but you will definitely think about them when you see them in front of your eyes in see-through containers. One good product to help this happen is the oxo Good Grips Greensaver Produce Keeper. Good quality containers will help maintain the moisture in the fruits and veggies as well as encourage healthy eating habits. If you have kids then clean, cut, and get the veggies ready to eat so that your children can access these goodies once they get home from school and before doing their homework. If you are one who might slip into bigger portions or second servings, it might be ideal to invest in a good digital kitchen scale that limits your portions. 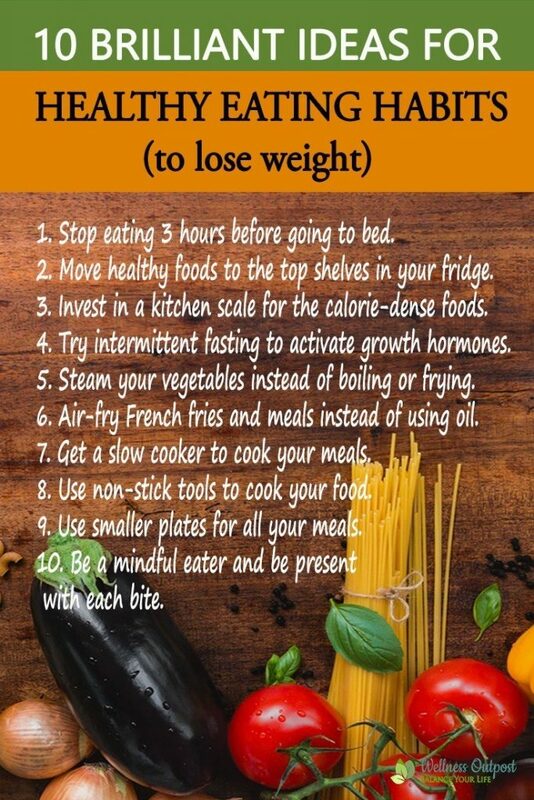 It is very easy to eat more than you should and gain weight. This is why weighing your food with this simple yet effective digital scale from Ozeri may help limit those extra calories. A good digital scale doesn’t have to be placed on top of your counter all the time, but it can get very handy when measuring calories-dense foods, such as nuts, meats, protein, or cheese portions. Giving a break to your digestive system can do wonders to your cells. Intermittent fasting is a way to do just that. Intermittent fasting is an eating pattern that allows you to cycle between periods of eating and fasting. It has amazing health benefits and it helps the body heal and rejuvenate. Making a lifestyle change means eating better quality foods. Steaming meats and vegetables is the best way to preserve the majority of the nutrients and freshness in the foods you cook. The good part is that you don’t need to pay thousands of dollars on full size steaming ovens. This simple steamer from Oster will do. Broccoli may take anything from 5 min to 10 minutes to steam, and it’s always good to stack up your vegetables one on top of the other (i.e. broccoli on the bottom of the steamer, then kale, then spinach). Frying could result in added carcinogens in the body while boiling food may result in losing a lot of the nutrients intended to nourish your body. This is why making a healthy change and using a good air fryer such as this air fryer from Avalon Bay for your potatoes and meats is a good idea. If you don’t want to fry your food but want to still have delicious meals or snacks, such as crispy French fries, then consider air frying with a good air fryer. This will give you the nutrients without the added oils. The term “crock-pot” is another name given to a slow cooker. These useful tools are inexpensive and effective. They are convenient and can be placed on your counter top to make your cooking easy, tasty, and within reach. One such device than can help your healthy food taste delicious is this slow cooker from Hamilton Beach. 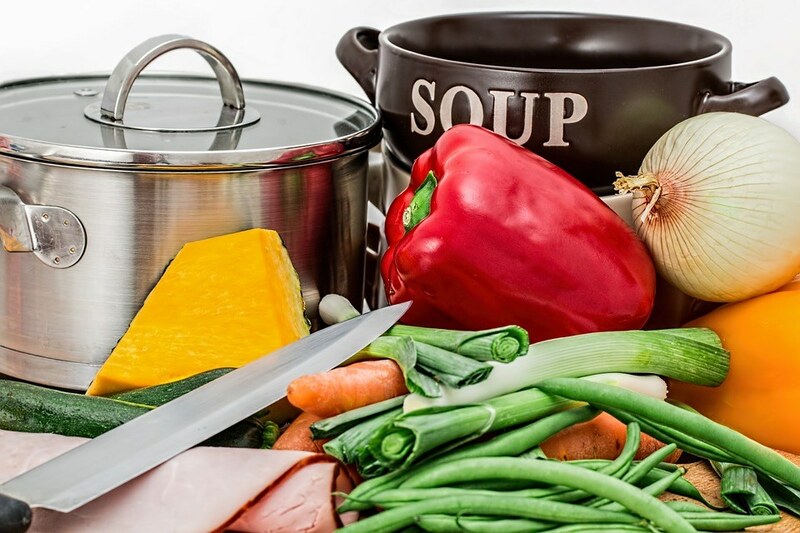 You can start your vegetable stews or your soups in the morning and come home to a fully cooked delicious meal. Slow cookers use less electricity than an oven. They can be used all year round including hot days and cold days. You can sauté your food and cook it with as little oil as possible with the help of a good tools such as this nonstick scratch resistant titanium cookware from T-fal. Think in terms of “gifts” or “presents” for people who love to cook, and for those who want to keep more of the flavor in the food and less down the drain. This cookware is very easy to clean and will last a long time. American food portions are very large with relation to other portions around the world. This is why it’s good to have smaller plates for meals, like these 8.5″ (21.6 cm) plates from Corelle, especially when attempting to lose weight. It is good to have portion control in order to allow the stomach to rest and digest the proper amount of food. You can play tricks on your brain to make it think that you’re having a large serving, when you are having a normal serving size. Try it. You will be surprised at how much this practice becomes a habit. It might be a good idea to start eating mindfully, meaning not in front of the television or not while doing something that keeps your mind off of what you’re eating. Think of being at the movie theater and having that big tub of popcorn on your lap. You probably lose yourself in the movie and end up eating the whole thing by yourself. When you’re eating food, try to be cognizant of each bite. Chew the food well and take time in between each spoonful. Be mindful in how you approach your meals and you will find that you will not only learn how to enjoy your life and your food more, but you will also be in sync with your stomach signaling that it’s full.